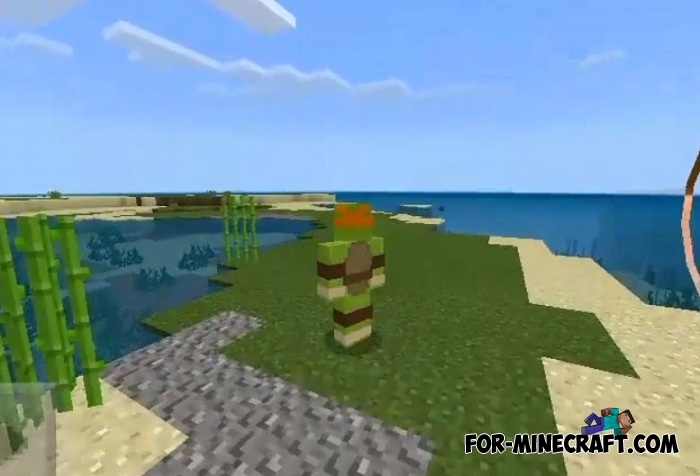 Instead of the Ninja Turtles - 3D skin pack, there is this one which is made in 2D, typical skins for Minecraft Pocket Edition. 4 main characters known worldwide are included in this pack. Each turtle is individual according to their color and weapon. In addition, all the skins have no problems on Minecraft servers, which makes them a great addition to any server, whether local or remote. 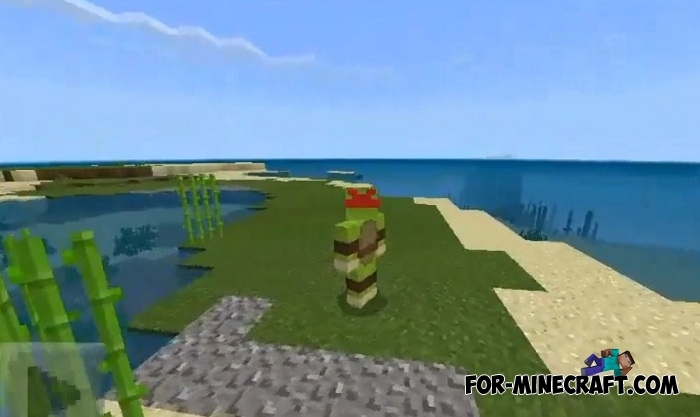 How to install the Ninja Turtles skin pack? 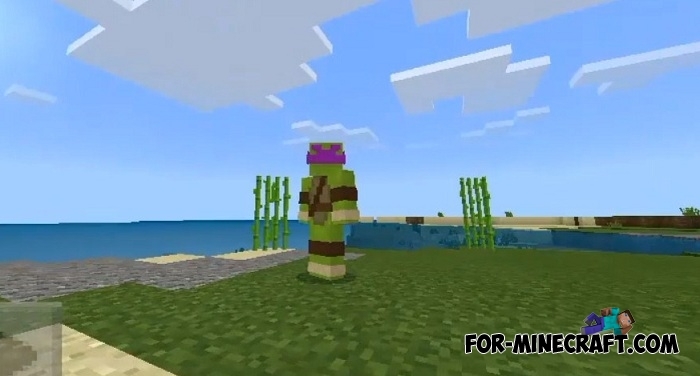 Ninja Turtles - 3D skin packThis skin pack includes skins of the main characters from Ninja Turtles: Rafaelo, Michelangelo, Leonardo and Donatello..